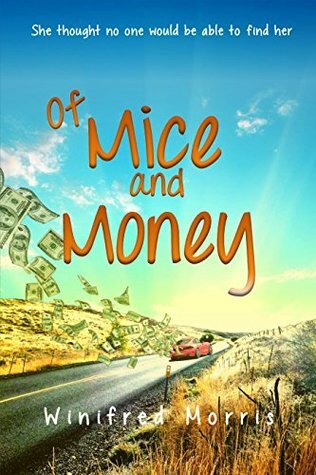 Of Mice and Money tells the story of Kiva, a woman in her late thirties who wants to make a clean break from her drug-smuggling husband. After a decade of putting up with his “scary business” and being told things on a “need-to-know” basis, she decides to give up a life of luxury for one that is simpler, quieter, and much safer—or so she thinks. When she finds a place that seems perfect for a fresh start, chaos (and humor) ensues as new and familiar faces begin showing up on her doorstep. Much of the first half of the book, which was a tad slow but packed with the hilarious inner dialogue of Kiva, is spent setting up the plot and introducing key characters. However, if the author hadn’t done such a thorough job of introducing each character, I’m not sure the second half would have flowed as well as it does. As soon as Kiva’s hippie parents show up, the story really takes off. I finished the book in one sitting from that point on. There were no loose ends by the end, and I felt thoroughly satisfied with how everything shakes out. I really enjoyed getting to know Kiva, who is funny and likeable despite the mistakes she has made in the past, especially in regards to her daughter. When Amy shows up after not seeing Kiva for four years, their rocky relationship adds a layer of drama that any mother or daughter can probably relate to. This book sort of reminds me of the popular TV series Weeds. Despite the seriousness of some of the themes in the story (drug dealing, drug use, mother/daughter drama, deadbeat parenting), it is still humorous and quite entertaining. No, Kiva is not a drug dealer like Nancy Botwin in Weeds, but their personalities are quite similar. If you were a fan of Weeds, then this book is right up your alley. Note: I received a complimentary copy of this book in exchange for an honest review.